Wellbeing Sanctuary is a part of large and famous International yoga and meditation festival : Namaste Festival. In 2012, Shangkala team have healing booth here. 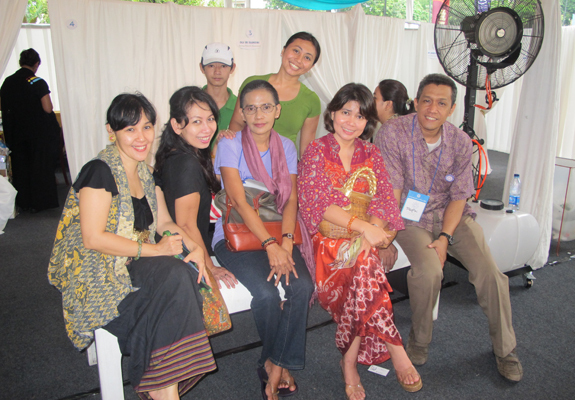 These event held from 23-25 November 2012, in the Sultan Hotel, Jakarta. 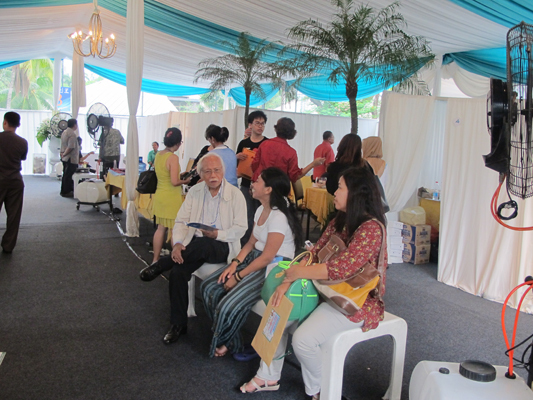 Our booth open after our wellness class finished, which were 2 – 6 pm. Acupuncture is done by opening the blocking of chi in meridians, balancing the body organs and recharge the chi organs. this therapy is used for improving your health such as for balancing the blood circulation, digestion system, respiration system, reproduction system, etc. 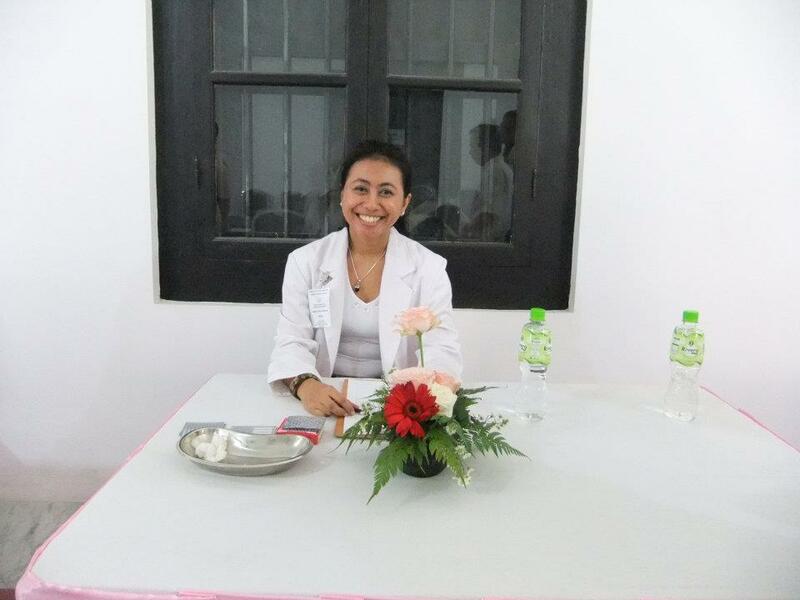 The therapy also for beauty treatment such as opening face aura, reducing wrinkle, reducing acne, reducing sports and irregular menstruation. This therapy is good for people with sport injuries, spine and bones dislocation, stiffness, daily habit activity, trauma accident, rebalanced the structure of your spine and bones. This therapy can open the blocked chi in spine and bones. so you can move freely. Even only 3 days of healing, we hope we can share a good way of natural healing to the visitors of Namaste festival. 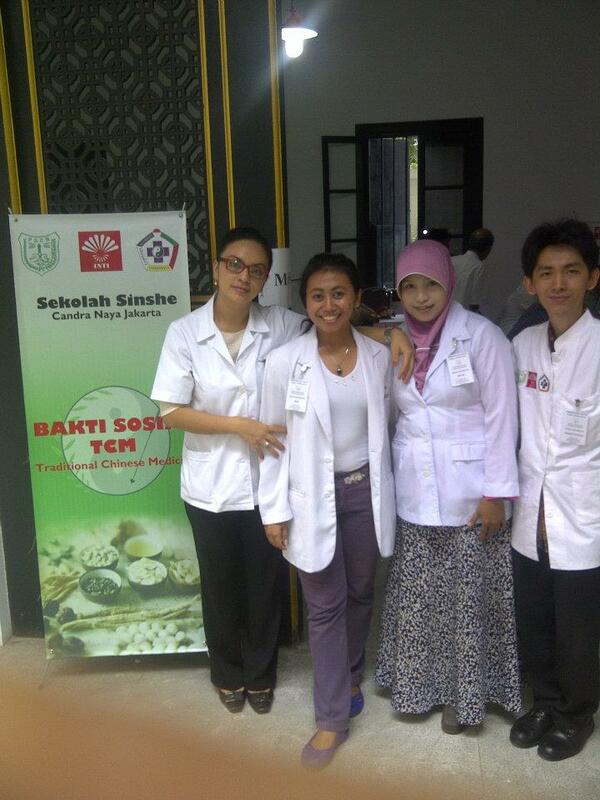 This time our team that is Acupuncture team join in social work in a Nursing Home in Desa Taman Sari, Rumpin, Bogor. 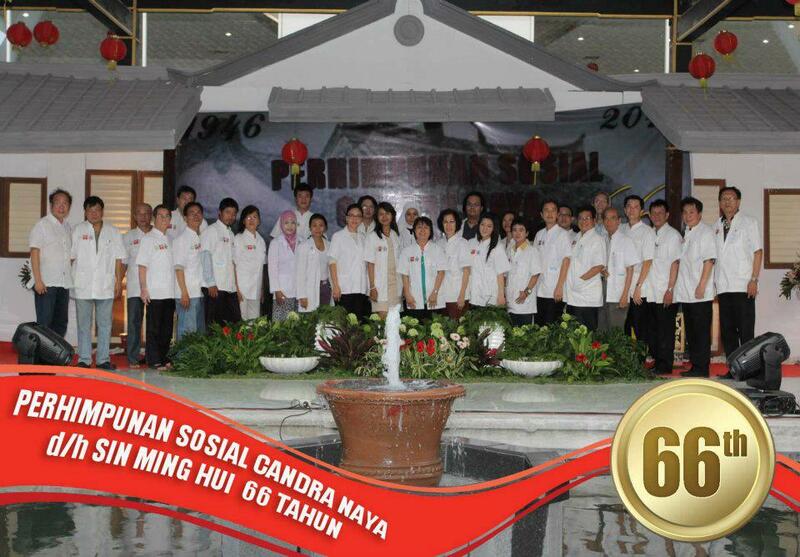 This nursing home manage by Vajra Dharma Hrih. A foundation of Budhis family. 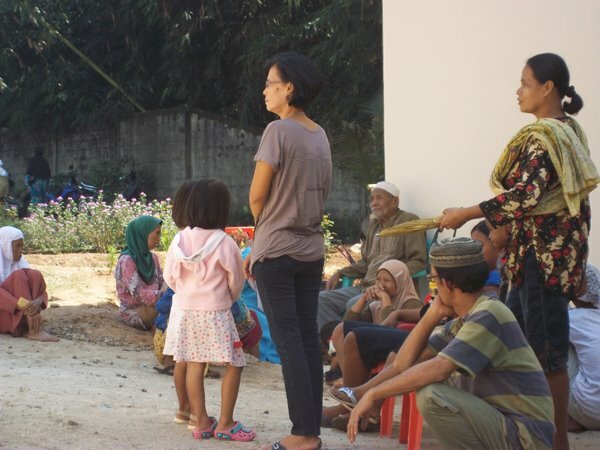 This foundation have routine social work : pre ramadhan social work, after ramadhan social work, Christmas social work, Chinese New Year social work, and etc. They can share the basic food needed or health social work. 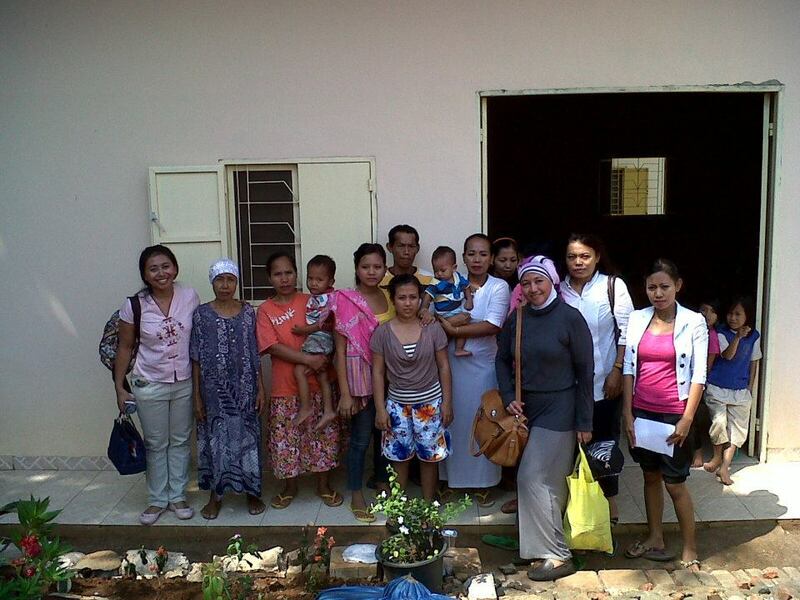 This health social work held in August 2012, before Ramadhan fasting. The Health team there divide into Acupuncturist team and Doctor team. 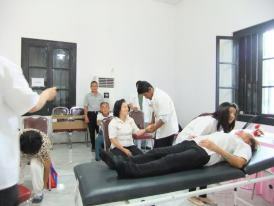 The patients are form Nursing Home and also society of Rumpin village around the nursing home. From BSD modern market, the journey to location need time around 45 mins using car. Better to achieve the location not by sedan or kind car. Because the way to the location is not too good. Half part not yet asphalt, so the road full of dusk. Seeing the village, we knew that the villager are middle-low economic. They’re income from braking the rocks into gravel. Than trucks bring the gravels to town. Some also farmer. But looks the land is not really good soil. 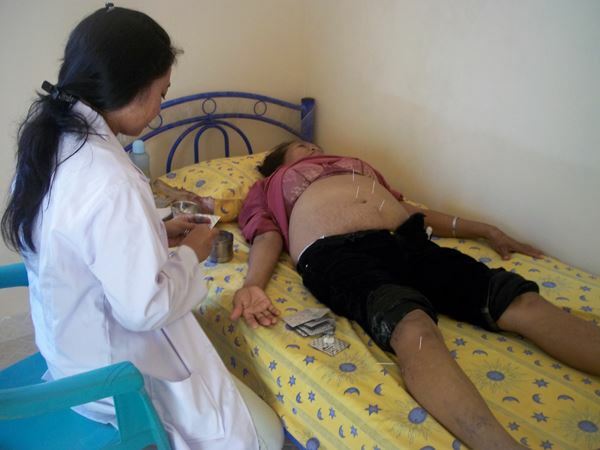 From our experience do acupuncture there, most patients came with the illness in the legs. Stiff legs, stiff hands, cold legs, headache, stomachs. There’re also patient get the stroke, but he don’t know their illness. Also blocking of heart. But, most of them had direct effect of acupuncture. We’re all fell very bless. 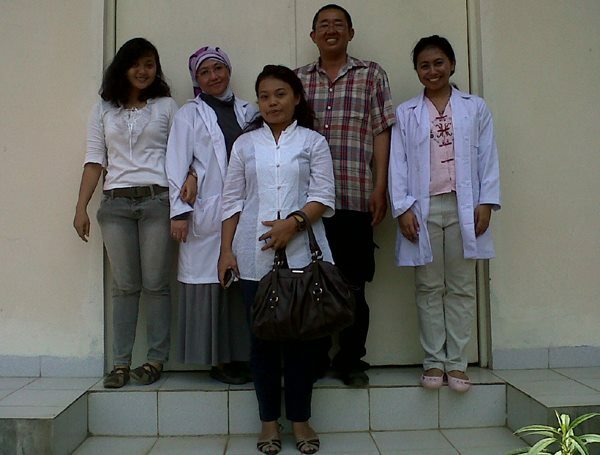 The manager of the foundation close all with having late lunch together, with the other team (doctor team) and the family. Thank you the team, the foundation, the patients, the nature which connect all of us. Panti Jompo. Kp Kebon Kelapa. Rt 04/02. Desa Taman Sari. Kec Rumpin. Bogor. Jabar. with Bp. Lu the manager of the Nursing Home. He showed us their facility and plan. 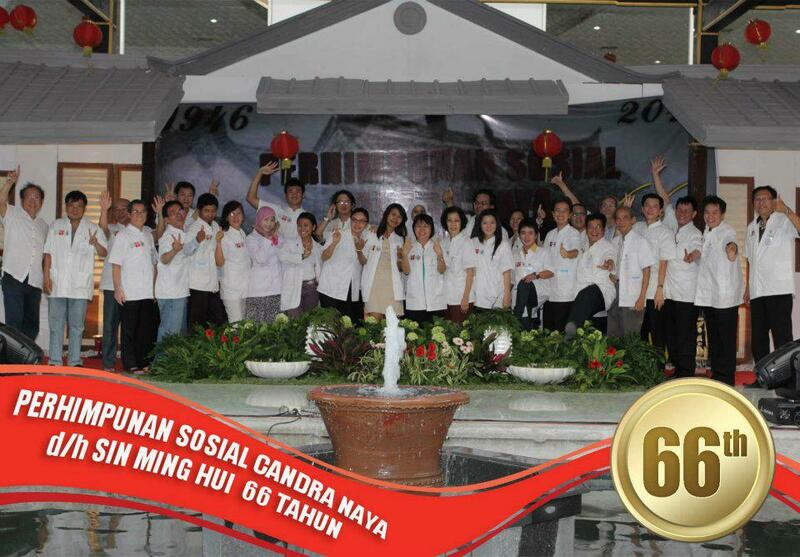 One of our team join to the Chandra Naya Foundation 66th Anniversary April 2012 in Kota, Jakarta. She is Desie Arumsari. Here she met with many acupuncturist. Senior and junior acupuncturist. And also Shinse. Shinse are helbalis TCM (Traditional Chine Medicine). Together, awaken and develop the Consciousness of Health.